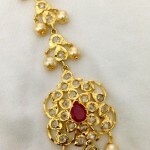 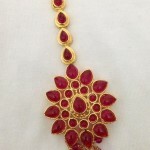 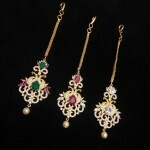 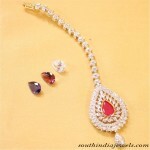 Stunning bridal maang tikka design studded with sparkling American diamonds, rubies and pearls. 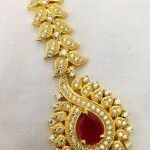 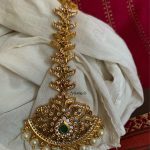 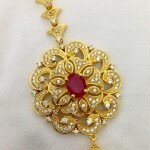 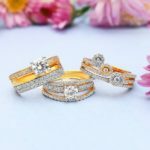 Price Rs795/-. 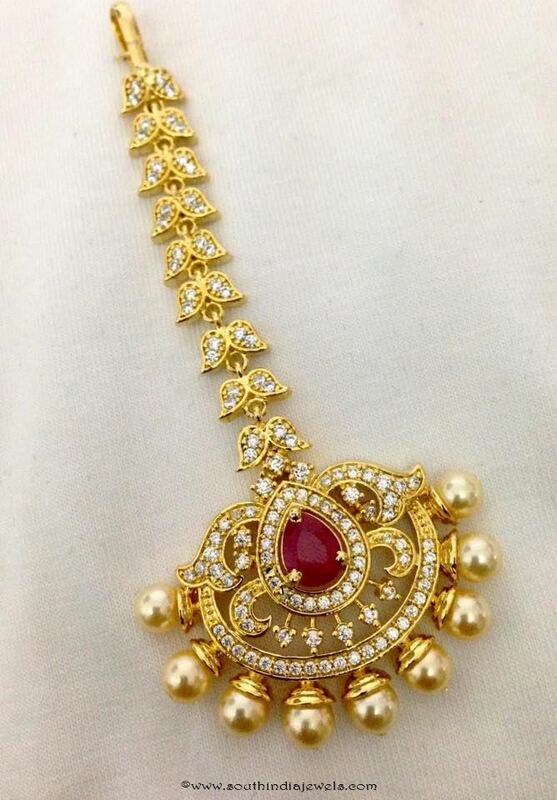 For inquiries please contact Swarnakshi Jewels and accessories, +91 95811 93795.